I just had one of the worst nightmares EVAR. I'm scared to even close my damn eyes. Let's talk of good things now. Rainbows, lollipops, and kitty whiskers. Oh, and crafts. 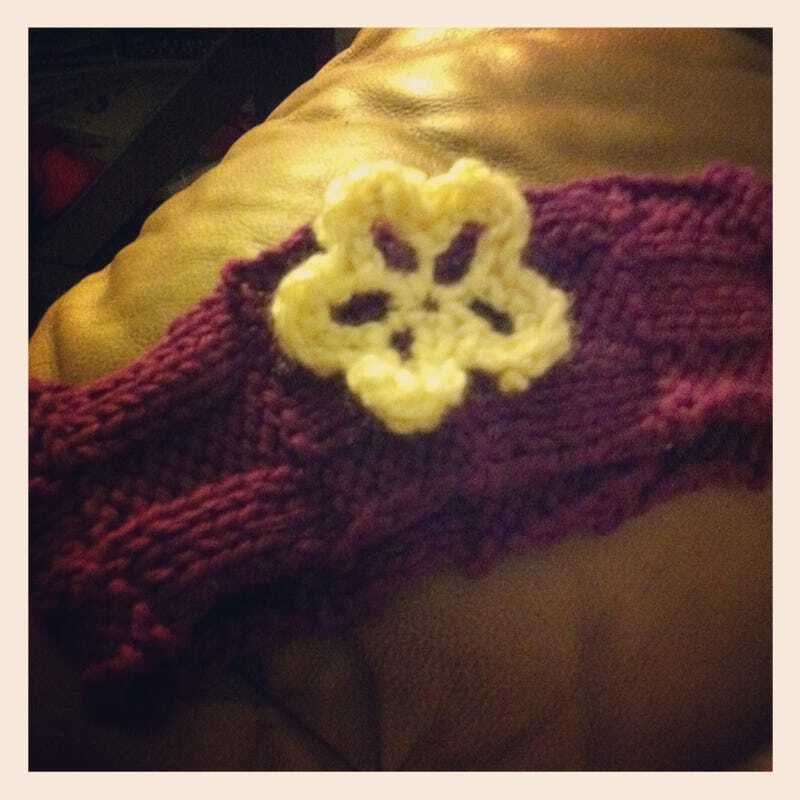 Here is my latest: A simple headband with a flower for my daughter. I'm going to do another one for my neice. It's the first flower I've ever done. I think it turned out okay.